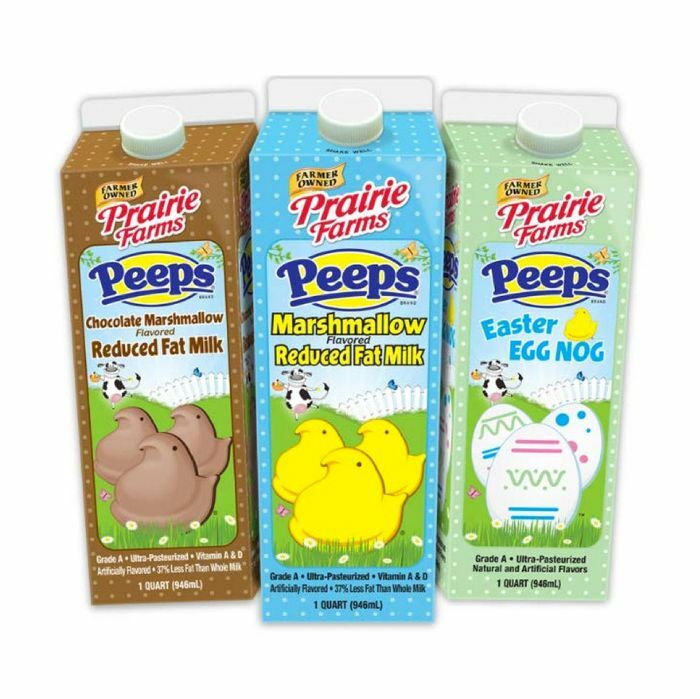 Just in time for Easter, Prairie Farms has unveiled three new milks — all flavored with Peeps. Because why eat the marshmallow candy when you can drink a liquid version? When it comes to convenience, this is as useful as Go-Gurt. The three flavors are Marshmallow Milk, Chocolate Marshmallow Milk, and Easter Egg Nog, and they’re filled with something like 37 grams of sugar per cup. It looks like Jimmy Kimmel’s “cold-pressed juices” made from Skittles, melted Creamsicles, and Fun Dip could become a reality: Just throw your favorite candy into a blender and market it as a brand-new product!